Pretty slick, huh? And in large numbers, pretty effective. Don’t like Obamacare? Don’t participate. (It’s crumbling before our eyes even if the law needs to be outright repealed.) Believe in the self defense the Second Amendment allows? Don’t turn in your gun when local police have events to collect weapons. (If guns are owned legally, the police can’t do a darn thing.) Don’t think Guantanamo Bay should be emptied of terrorists? Don’t help the State Department when they ask for it while assisting foreign governments in their assessment of detainees. For the majority of Americans who are law abiding and understand that the command structure of the U.S. Military exists for a reason, the entire idea that the Pentagon might be the main obstacle in the way of Barack Obama fulfilling one of his primary campaign promises – the outright closure of the prison facility at Guantanamo Bay – is more than a little curious. But, according to a Newsmax piece, reports are that foot-dragging and various other “take time off the clock” maneuvers by the Defense Department are what is keeping the facility from completely emptying out. In interviews with multiple current and former administration officials involved in the effort to close Guantanamo, Reuters found that the struggle over Ba Odah’s medical records was part of a pattern. Since Obama took office in 2009, these people said, Pentagon officials have been throwing up bureaucratic obstacles to thwart the president’s plan to close Guantanamo…. To slow prisoner transfers, Pentagon officials have refused to provide photographs, complete medical records and other basic documentation to foreign governments willing to take detainees, administration officials said. They have made it increasingly difficult for foreign delegations to visit Guantanamo, limited the time foreign officials can interview detainees and barred delegations from spending the night at Guantanamo. The bottom line is that until the detainees are relocated, the detention center or prison cannot be closed. We do know that the Obama Administration is looking at sites within the continental United States for storage of the worst of the worst. We also know that thanks to a slip of the tongue from Attorney General Loretta Lynch that simply doing this without a deal with Congress is, well, illegal. That did not stop Obama from threatening an executive order, but really, with roughly 389 days to go in his reign, the Pentagon COULD do this Irish Democracy thing and run out the clock, thus forcing the renigging of the promise to close Gitmo on “human rights” grounds. 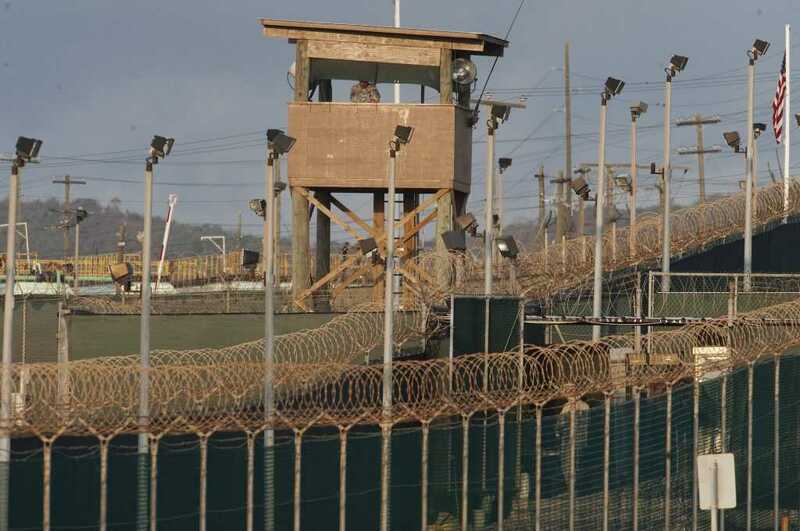 Kazakhstani officials asked to send a delegation to Guantanamo for three days to videotape interviews with prisoners before deciding which ones to accept. Kazakhstani psychologists and intelligence experts wanted to study the interviews for signs of deception…. Senior commanders at Joint Task Force Guantanamo — the military unit responsible for administering the detention center — said the visiting Kazakhstanis would be allowed one hour with each prisoner and one day at the detention center. After two weeks of failed talks, the Kazakhstanis said they were canceling the visit and wouldn’t take any detainees. An alarmed White House intervened, ordering the Pentagon to compromise, according to current and former administration officials. The Kazakhstanis would be allowed two hours with each detainee, the Pentagon said, and would be allowed to stay one night at Guantanamo. They said the Kazakhstanis would not be allowed to bring recording equipment with them. Instead, the U.S. military agreed to videotape the interviews and provide the Kazakhstanis with copies of the tapes. The Kazakhstanis visited the prison. Six weeks later, the Kazakhstanis still hadn’t received the videos. “They were calling us every couple of days, saying, ‘Where are the videos?’ ” said an administration official. The White House ordered the Pentagon to hand over the videos. The Pentagon complied, and sent the videos to the State Department, but with a new classified designation on it, “Secret/NOFORN,” which means it is illegal to share the material with a foreign country. Administration officials complained again. Days later, the video came back with a more lenient classification. The video was sent to the Kazakhstanis. Two days later, the Kazakhstanis called Washington. The videos had been processed to look as if it had been shot through dimpled glass. For the Kazakhstanis, who wanted to scrutinize detainees’ body language and facial expressions, the videos were useless. And that was just what the Pentagon did to the people from Kazakhstan who have not rejoined the fight since their release. The Newsmax story lists far more of this “running interference” that the Pentagon is doing to keep from closing the prison at Guantanamo and possibly handing the whole base back to Castro with a big bow and fancy wrapping paper. Granted, this is just a report, and one that produces hearsay that there are military brass out there flat out disobeying orders. Normally, we the people should demand Court Martials all the way around, and maybe that will happen after Obama is gone. But in the meantime, thanks to the peaceful resistance of some people using their brains to back up the braun, we still have over 100 of the world’s most dangerous terrorists locked up with no end in their incarceration in sight. Groups claiming to champion humanity call this a travesty. We Americans call it being safe rather than sorry. Thanks to the Pentagon foot draggers. At least somebody in this government is demonstrating why doing nothing can be the best defense of all. What would human rights advocates call it if the worst of the worst got out and plotted yet more terrorism? What about the human rights of the potential victims? Why doesn’t anyone in this argument ever talk about that? URGENT! 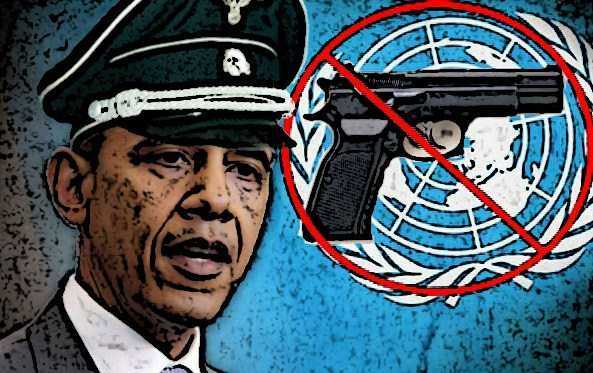 Obama Just Made a HUGE Move for GLOBAL Gun Control Behind the Backs of Americans!